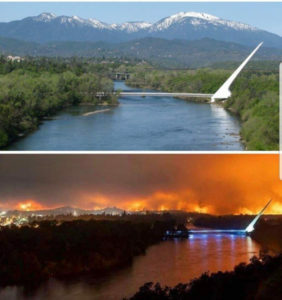 On July 23, 2018, a simple flat tire on a vehicle started the Carr Fire, one of the most destructive fires in California history. This catastrophic fire destroyed thousands of structures, displacing well over 10,000 people. Emergency shelters were packed to capacity all over Northern California with families who had no idea if they would have a home to go back to and fearing they had lost everything. Part of my PTSD recovery journey was obtaining my PTSD Service Dog, Kooper, from an organization here in Northern California, Veterans K9 Connections. The specialized training my service dog received really nurtured his caring temperament, which allows him to help me and others with PTSD, Anxiety, Depression, and trauma. 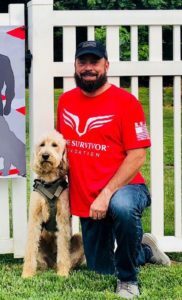 Thanks to my service dog and my new found skills from The Lone Survivor Foundation I was able to negotiate my PTSD much better than I ever have. This was put to the test when this fire ripped through my community. Instead of my PTSD locking me inside my home with my head buried in the sand so I would not have to deal with the incredible scope of this tragedy, I found that my desire and ability to serve was no longer hindered. I wanted to help and was able to help without hindrance or hesitation. 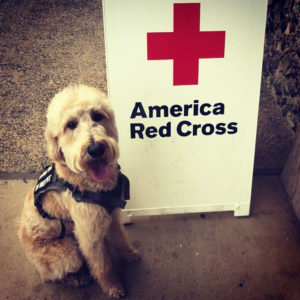 I took my Service Dog Kooper to several of the local Red Cross Evacuation Centers in hopes of having him help people cope with the trauma this tragedy had created. When we would first enter, I could see the looks of despair on all the faces, parents trying to stay positive in front of their kids, seniors who fear they have lost everything. Just Kooper entering the shelter put glimmers of happiness in people. 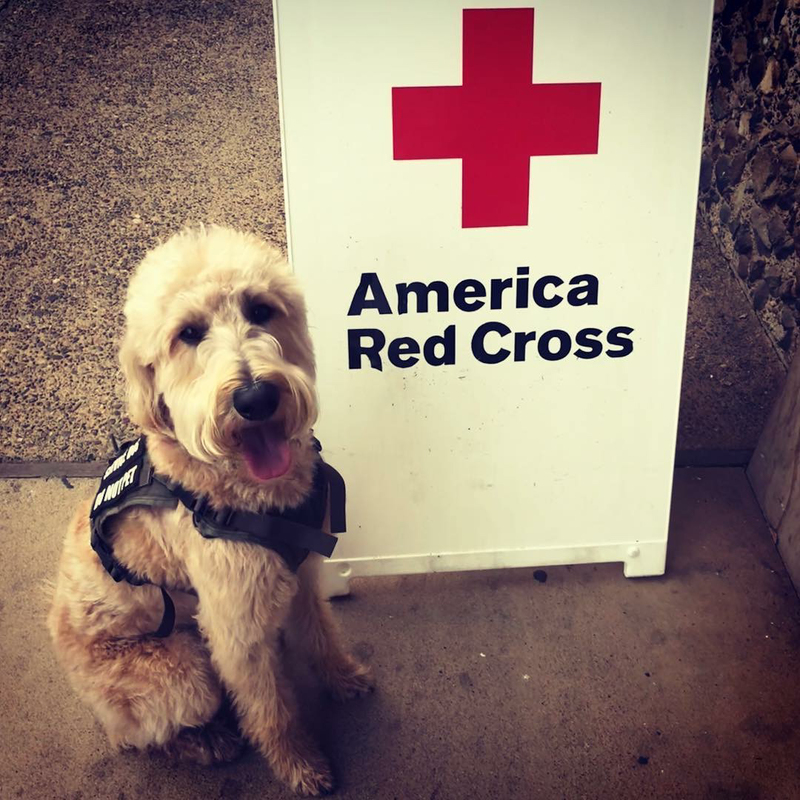 Kooper would spend time with families, children, and seniors all petting and loving on him, putting some smiles on lots of faces, and giving people a positive distraction from the fire. I could tell when we left that even though we were only there for a short time, Kooper had made a positive lifetime impression. I am so thankful for what the Lone Survivor Foundation has done for me and my family. I have been given my life back! Prior to participating in the Lone Survivor Foundation program, I would have never had the ability to help during this tragedy, PTSD would have held me back. My PTSD no longer has complete control over me, I am now able to manage my PTSD much better and actually live the life I once had.